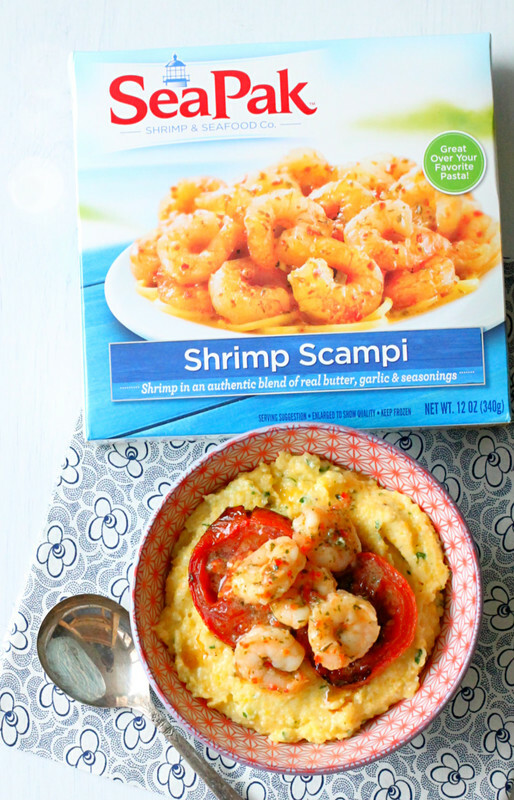 Get more coastal in 2016 with my Italian-Style Shrimp and Grits made with SeaPak Shrimp Scampi. 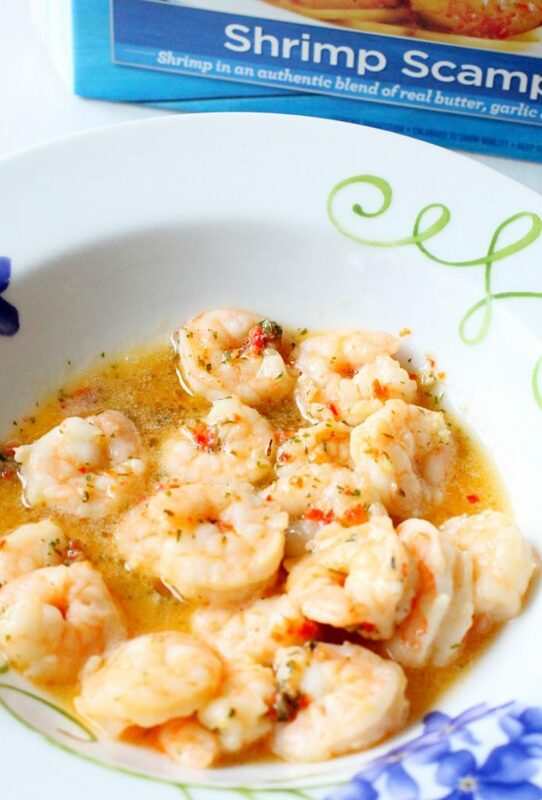 It’s like being transported to your favorite beach-side restaurant in the middle of winter! SeaPak makes getting seafood on your family’s table more simple and affordable. 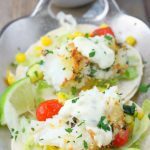 And right now SeaPak is offering a chance to win a fabulous trip to New York City for a seafood cooking lesson at the Food Network Kitchen! Click HERE for more details. About this time every year I’m dreaming of our previous beach vacation and wishing I could have my toes in the surf and sand again. We had a pretty epic one last year and I’m really hoping to go back this summer. Besides the sound of the surf, clear turquoise waters and white sugar sands, ultra-fresh seafood is the thing I miss the most when I’m landlocked for most of the year here in Ohio. And growing up in the buckeye state for my entire life, cooking seafood is one of my few weaknesses in the kitchen. 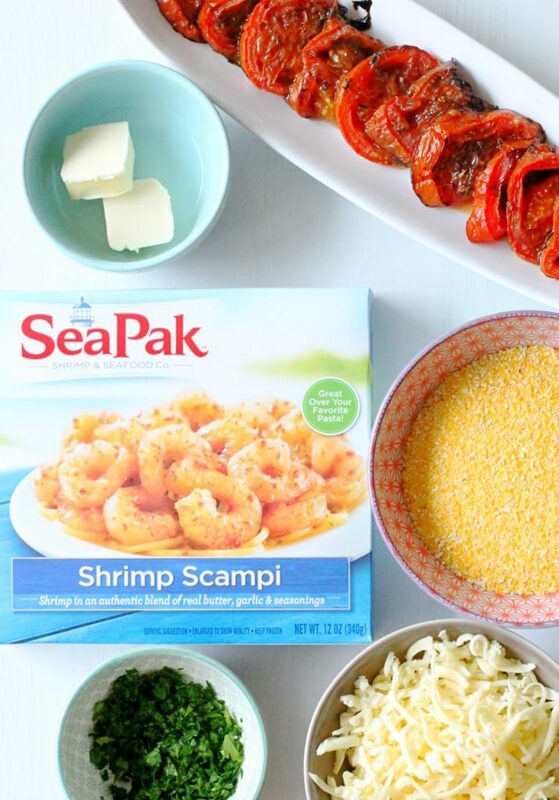 So I jumped at the chance to create a restaurant-quality dinner using the affordable convenience of SeaPak shrimp. Because let’s face it, if you aren’t living on the coast, frozen is usually the best way to get your seafood fix. Shellfish especially don’t stay fresh for long. I hadn’t tried SeaPak before, and I have to say I was pleasantly surprised by the look of it coming out of the package and the taste of both the shrimp and the seasoned garlic butter. SeaPak happened to be on-sale when I purchased the shrimp scampi so for just $5.99 I had enough shrimp to feed all four of us for dinner. Tomatoes aren’t in season around here at the moment but slow roasting them fixes that problem! 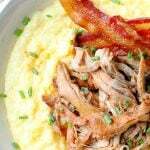 Also, did you know that polenta and grits are the same thing? It’s course-ground corn meal. 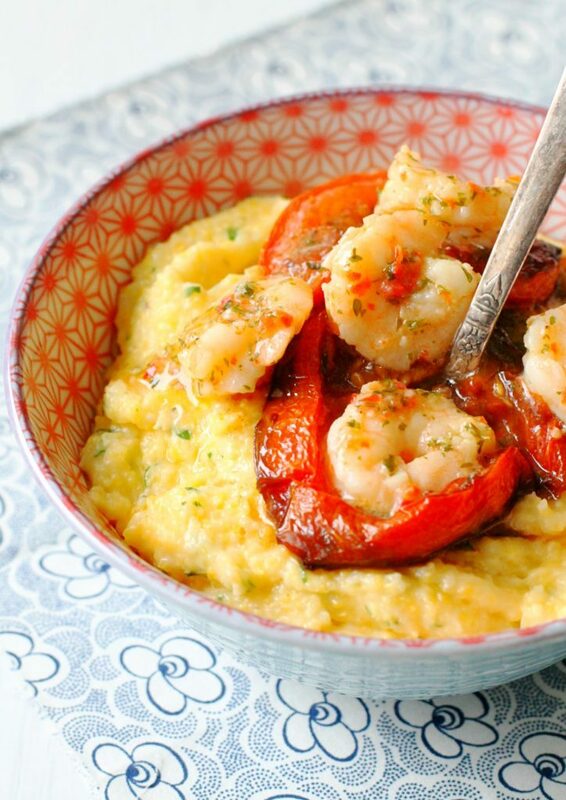 So I decided to turn the ever-popular Shrimp and Grits combination into an Italian dish by serving the garlic-sauced SeaPak shrimp scampi, plus slow-roasted tomatoes, over cheesy polenta. This dish is so simple and quick to make but will fool your family into thinking you were a slave in the kitchen or secretly ordered take-out. I love dinners like that, don’t you?! So be sure to head on over to SeaPak right now for more coastal inspiration and to enter their fabulous sweepstakes. 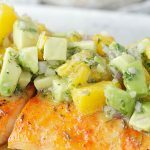 And be sure to share and pin this recipe so you’ll never have an excuse not to get more coastal in the middle of winter again! Preheat oven to 450 degrees. 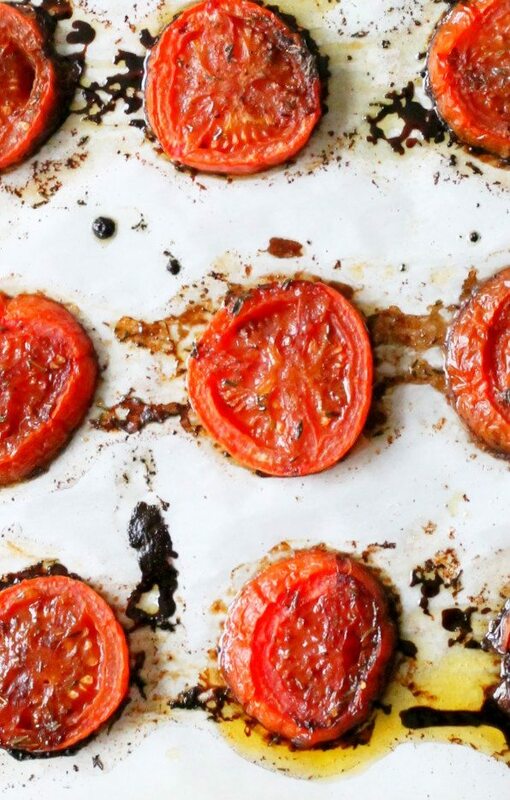 Thickly slice tomatoes (discarding the top and bottom) and place them on a sheet pan lined with parchment paper (you should have about 10 slices). Whisk together the olive oil, balsamic vinegar, sugar, garlic powder, 1/2 teaspoon of salt and pepper. Evenly pour the olive oil mixture over the tomato slices and roast in the oven for 25 minutes. Meanwhile, add the water and one teaspoon of salt to a large pot and bring to a boil. Slowly whisk in the corn meal. Reduce to a simmer and cook, stirring often, for about 20-30 minutes (use package directions as your guide). Microwave the SeaPak shrimp scampi according to package directions. Drain off the seasoned butter and reserve. Once the polenta (corn meal) has finished cooking, over low heat stir in the 2 tablespoons of butter, about half of the reserved shrimp scampi butter, cheese and parsley until the cheese is melted. 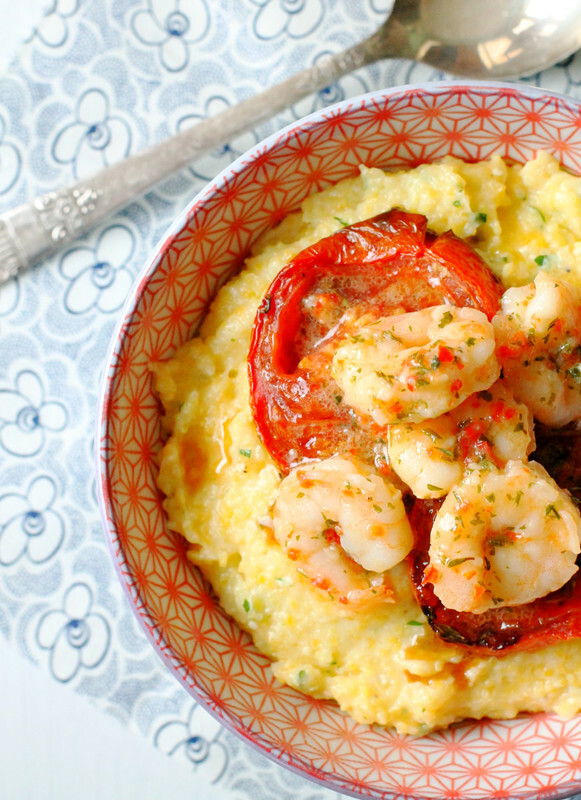 Spoon the warm polenta into four bowls. Top with an equal amount of roasted tomatoes and shrimp scampi. Pour a little of the remaining scampi butter over the top. Serve immediately.